It's easy to wonder why a country long known for its nomadic traditions and expert horsemanship is suddenly focused on cars. In fact, the Kyrgyz Republic, better known as Kyrgyzstan, like many of its post Soviet neighbors, is emerging into a modern, 21st Century nation. Once host to camel laden caravans traversing the silk route, roads now account for over 95% of all passenger movement and 60% of all freight traffic within the country. A new modern highway now connects the capital city of Bishkek with Osh, an important, regional commercial center. This past April, The World Bank approved funding to improve roads around the Osh and Batken provinces with plans to increase links to Tajikistan and other members of the Central Asian States. While weekend warriors may still sport around on horseback, it's clear that the market here for cars is strong and growing, creating new opportunities for international car dealers. Knowing Your Way Around - can be important when shipping to this part of the world. Shipping cars from the US to Kyrgyzstan is similar to shipping cars to Asia and shipping cars to the Central Asian States. West Coast Shipping (WCS) is an experienced shipper delivering cars to other states in the region including Kazakhstan, Uzbekistan, Turkmenistan and Tajikistan. Since the principals of the company are originally from Bishkek, the capital city of Kyrgyzstan, they are able to maintain strategic partnerships throughout the area making them exceptionally well qualified to serve these emerging markets. Visit our previous post for our beginners guide on shipping cars overseas to Asia and Central Asian states. Going the Distance - A reliable shipper like WCS goes the distance to insure that a customer's shipment arrives securely and hassle-free. Paperwork, such as transferring title to customers, obtaining required stamps, preparing invoices and providing detailed packing lists, are prepared in advance so they are ready before arrival at the destination, avoiding unnecessary delays. WCS agents are on the ground to meet the cargo and are able to make any last minute document changes that might unexpectedly occur. Upon delivery the cargo is inspected and if anything is amiss, the insurance company is notified immediately, accelerating the claims process. Customers are given a contact person in Bishtek who can trace the shipment from beginning to end. 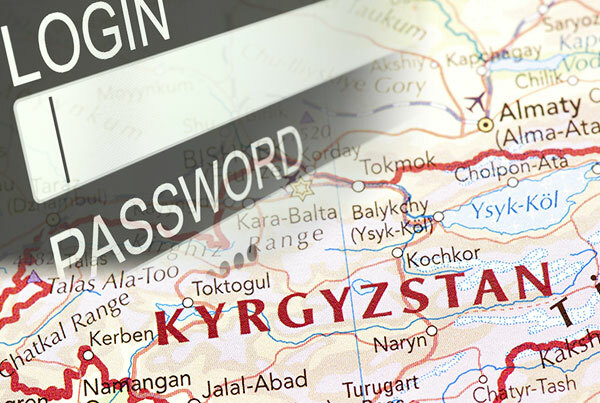 Routing Around - There are two basic routes used to deliver cars to Kyrgyzstan, both requiring reliable agents to assist along the way. Klaipeda, Lithuania is one of the major ports of Europe. Cargo arriving in containers can be loaded directly onto rail cars or reloaded onto railway wagons. Since the reloading process can pose a risk of theft, WCS uses trusted agents and high-security container seals. WCS has found shipping cars via China is usually the least expensive and most reliable way to go. Containers are delivered to two major port cities, either Qingdao or Lianyungang, depending on the carriers used and their scheduling. The containers are loaded onto rail cars until they reach the border station cities of Khorgas or Alashankou. There they must be loaded onto former Soviet designed tracks since they do not match those employed in China. Due to the difficulties returning containers back to the Chinese ports, customers are required to purchase them. Is Left Right? Fortunately for those shipping cars to Kyrgyzstan, cars can be driven from either the left or right side, and to date, there is no requirement to reconfigure them after delivery. Who's on First? Whether shipping via China or Europe, a large part of the travel time is overland, which calls for constant oversight. This is where reliable relationships and attention to detail really matter. For instance, when WCS sends cargo via China our agents accept delivery and see it through complex Chinese customs. Our agents assume responsibility for proper rail loading and secure delivery. The customer is only responsible for the final custom's check. WCS is in direct communication with the Chinese Railroad Ministry and is constantly meeting with our agents on the ground, keeping track of the cargo from start to finish. Get Your Ducks in Line- The AFLAC duck may not underwrite cargo to Kyrgyzstan but WCS shipping has strong relationships with the few insurance carriers that do. To that end, WCS can provide cargo insurance at very competitive rates as well as additional insurance to cover your complete shipment. Lets face it - there are a lot of logistical issues that arise when shipping cars from the US to Kyrgyzstan. To ensure a good experience, take the time to find a reliable shipper that is fluent in the languages, customs and cultures of the countries involved. Use our international car shipping cost calculator to receive a price immediately. Interested in shipping cars to Mongolia? We've covered the subject earlier this month.